Irrational Games, a.k.a. Ken Levine's studio that made Bioshock, had a concept game in the works back in 2005 called Division 9. In a time when the biggest zombie game was Resident Evil, Division 9 seemed like an almost silly idea. I mean, who wants to play cooperatively against an endless horde of zombies? Now of course with the myriad of co-op zombie games and co-op zombie modes - we know different. 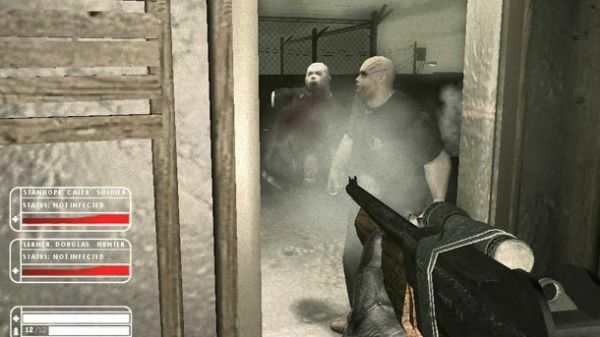 But this game wasn't just a straight up shooter, that's all fast action like Left 4 Dead. Instead the game offered base building mechanics as well as strategy with ammo, rescues and weapons for survival. The game would even offer branching options throughout play. An example is one mission might have you rescuing a doctor, if you fail or choose not to do it, you wouldn't get the bonuses that come with that - namely the healing he can provide. The trailer released looks and feels a lot like SWAT 4, and with good reason. The concept was built on the engine. Sadly this game will never see the light of day, which makes us very said here at Co-Optimus HQ. Irrational makes solid and well polished titles with very unique gameplay mechanics. Page created in 0.7733 seconds.